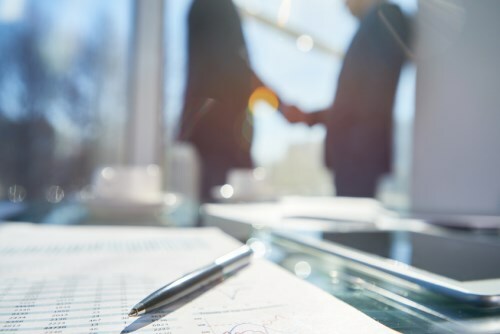 The National Reverse Mortgage Lenders Association (NRMLA) and LexisNexis Risk Solutions have entered an agreement under which the trade group will encourage its member companies to participate in LexisNexis’ Mortgage Industry Data Exchange (MIDEX). Used to verify and monitor professionals and companies in the industry, MIDEX offers data on public administrative and legal sanctions imposed on mortgage professionals reported by over 200 regulatory and oversight organizations. The exchange also contains information from voluntarily contributed non-public data of alleged fraud, material representation, and serious misconduct. It covers various industries including mortgage, commercial banking, appraisal, real estate, and securities. Through the partnership, the involvement of NRMLA and its membership in MIDEX is expected to prevent fraudulent behavior and unethical practices in the mortgage industry. Mortgage lenders, investors, and insurers use MIDEX for due diligence purposes in relation to business transactions with mortgage brokers, correspondent lenders, appraisers, warehouse lenders, and others. "Our new alliance with NRMLA will significantly increase access to information to this important segment of the mortgage industry, and thus transparency, about mortgage professionals and companies,” said Tim Coyle, senior director for real estate and mortgage at LexisNexis Risk Solutions. “MIDEX is a powerful tool that helps defend against mortgage fraud and streamlines professional credentialing. Increased industry participation is key to its success. We are pleased that NRMLA is joining us and expanding the database, helping the industry accurately self-report fraudulent and misrepresentative practices and further protect the customers they serve." "NRMLA is very pleased to align ourselves with LexisNexis Risk Solutions, a company that shares our commitment to transparency and professional excellence,” said NRMLA President and CEO Peter Bell. ‘Every member of our association adheres to a strict code of ethics and professional responsibility, which extends to the business practices and activities of the third-party vendors they hire. The MIDEX database will provide our member companies with a platform for evaluating potential vendors, reviewing ongoing relationships, and reporting bad actors. We hope all of our members will take advantage of this relationship. It is to their advantage, and most importantly, in the best interest of their clients."